It’s amazing how some things never go out of style. They’re timeless. Like the Beatles, denim, and bubblegum. Underwear (thank goodness)… Harry Potter… LEGO! And Pokémon. Articuno, one of three Legendary birds, was born into the Pokémon universe in 1996 with 150 other First Generation creatures (like Pikachu, Charmander, and Squirtle), and is still popular today with Pokémon Go. 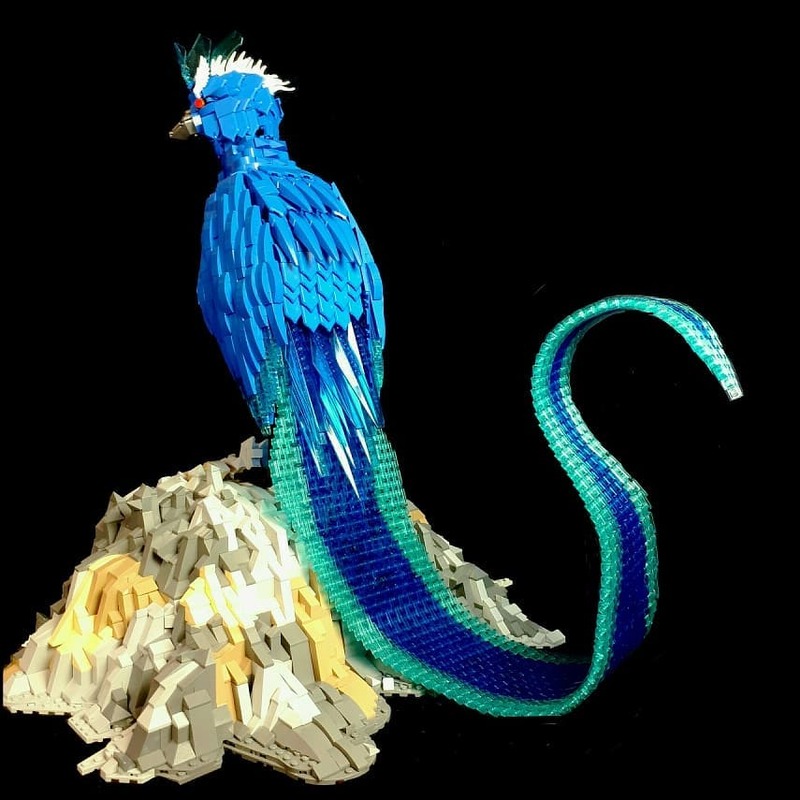 This beautiful build by mk bricks is a nod to the famous bird. The layering of parts to create an icy feathered appearance is well-achieved here. It’s not all that easy to avoid making these kind of builds look blocky and repetitious, but not here! And perhaps the coolest (pun intended) part is the most obvious. The bending technique to shape the iconic tail looks great! It really could not have been better accomplished. If you like Pokemon, also check out other articles about Oddish, Charizard, Eevee, and a build-your-own Bulbasaur.